Lower Antelope Slot Canyon is one of the most exquisitely photographed attractions in the Page Lake Powell area. 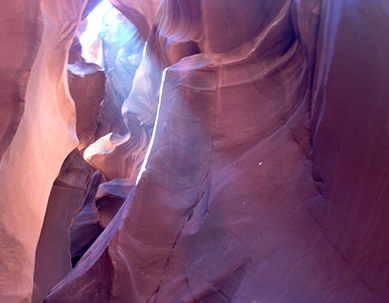 Many visitors prefer the Lower Antelope Canyon to the Upper because it is less crowded, has light throughout, is longer, and offers great variety. Visitors get to experience narrow slots and ladder access into some of the sandstone carved shoots and holes formed by the force of runoff into the Antelope Wash from the mesas above. 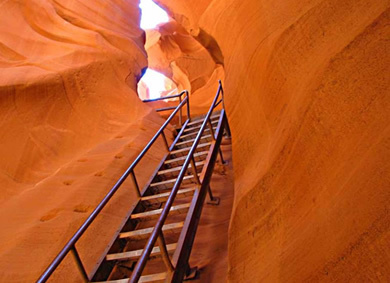 For a smaller, courteous experience in the Lower Antelope Slot Canyon Tour with a knowledgeable guide who knows first hand how to take the best photos with point-and-shoot as well as professional cameras, call the Lower Antelope Canyon Tours. They are located over on the left-hand side of the Lower Antelope Slot Canyon tour area just off the road to Antelope Point Marina. Their sign and banner says “DIXIE ELLIS’ LOWER ANTELOPE CANYON TOURS.” Call them for directions if you are not sure how to get there. Lower Antelope Slot Canyon Tours is Navajo-owned, and licensed by the Navajo Parks and Recreation to provide professional tours into this canyon. Their guides have been giving tours in the area for many years and know the geology, history, and background first hand. 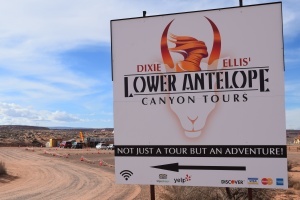 Dixie and her son Stetson offer quality, informative, considerate and professional tours. 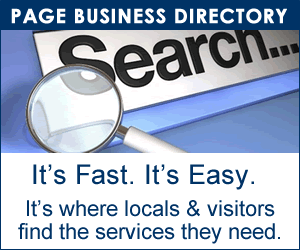 Their tours are smaller so that you have a better experience without feeling crowded. They have experience working with photographers at all levels and will help you take the best photos with your camera. Tours are every 30 min. RESERVATIONS APPRECIATED and CREDIT CARDS ACCEPTED. Lower Antelope Canyon Tours departs every 1/2 hour a quarter after & a quarter till the hour. The tour is a 1.5 hour walking tour and climbing down some ladders is involved. During peak season the wait time to get into the canyon can vary. Please wear comfortable shoes for this 600 meter trip. Lower Antelope Canyon Tours has smaller group sizes and the guide stays with you during the entire tour, sharing information about the geology, history, and the Navajo Traditional ways. The Lower Antelope Canyon tends to be less crowded than the Upper Antelope Canyon and is preferred by many because of its narrow canyon walls and ladders that take you to the levels that have been carved by flash floods from the upper mesas. 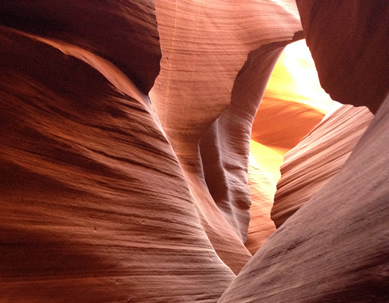 The sandstone walls are exquisitely formed, and the Lower Antelope Canyon offers a longer canyon exploration.